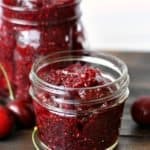 Home » Breakfast » 3 Ingredient Cherry Chia Jam. It’s easy to make jam from fresh, sweet cherries! 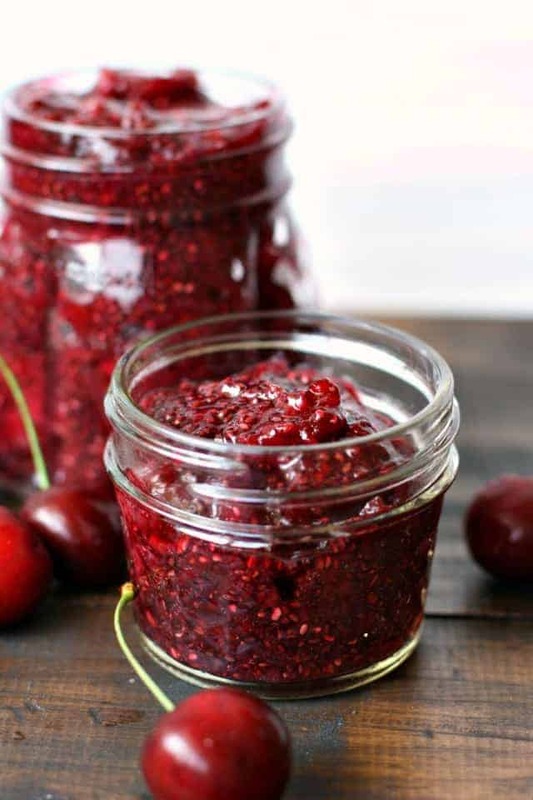 This cherry chia jam is simple to make, delicious, and it’s refined sugar free! A few weeks ago, sweet cherries were on sale in our local grocery store. We stocked up, and after a could of days, we realized, uh-oh, there’s no way that we can eat all of these! I considered making a pie, but that sounded like a lot of work (I’m not the greatest pie maker). 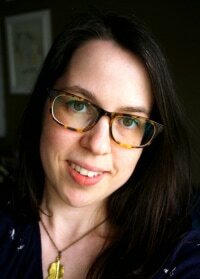 I realized that making some cherry chia jam might be the easiest way to use up the excess cherries. 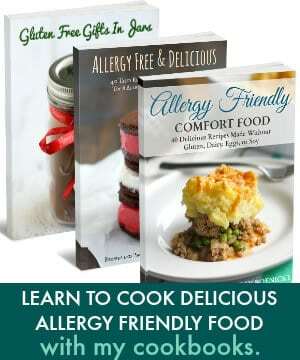 Chia jam is wonderful – it takes very little time to make, and you don’t need any pectin. The chia seeds naturally thicken the jam and hold it together. Cherry chia jam is perfect for spreading on toast or a bagel, or you can top your oatmeal with it. This is a refrigerator jam, so it’s super easy! No canning required. What are chia seeds? Are they the same seeds that are on Chia Pets? Chia seeds are tiny, edible seeds that come from the plant Salvia hispanica, which is grown in Mexico and dates all the way back to ancient Mayan and Aztec cultures.They are a good source of protein, fiber, and omega-3 fatty acids. When they get wet, they form a gel, which is great for things like making jam, or using them as an egg replacer. How long can you keep cherry chia jam in the refrigerator? Store chia jam in the refrigerator and consume within 7 days. Can you freeze chia jam? Yes, you can store this cherry chia jam in the freezer for up to 3 months. Put it in freezer bags or freezer safe containers before freezing. 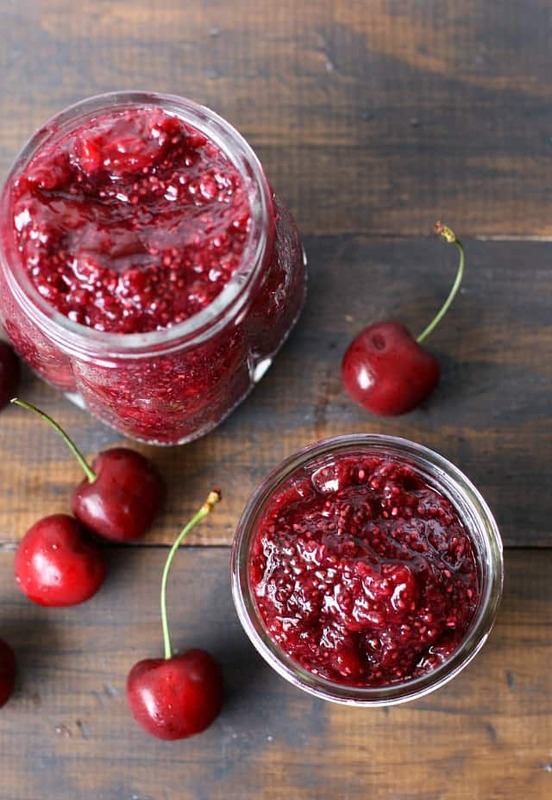 How do you make cherry chia jam? Rinse and sort fresh, sweet cherries. Remove the stems and pit the cherries. 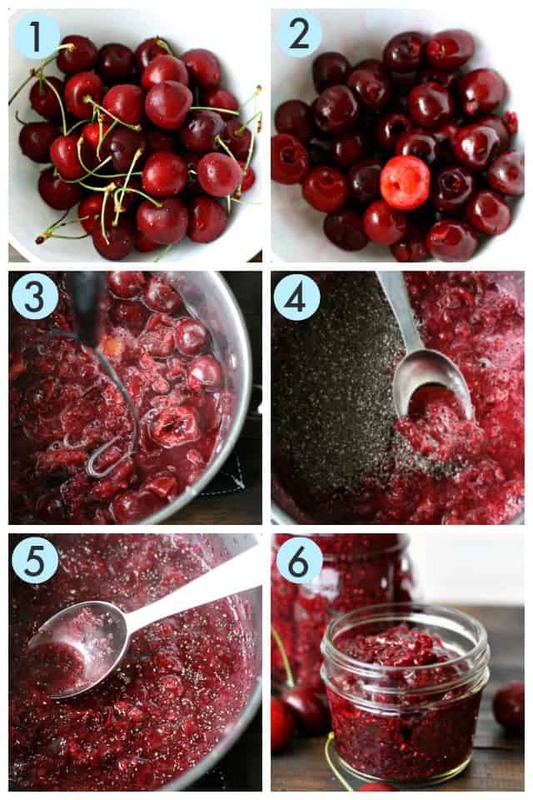 Place the cherries in a pot and cook over medium heat for a few minutes until they soften, then mash them. Add the chia seeds and maple syrup. Pour the jam into glass jars. Allow to cool before placing in the refrigerator. If you make this recipe, or any of my recipes, please share on Instagram and tag me @prettybeeblog. I love to see what you’ve been cooking! 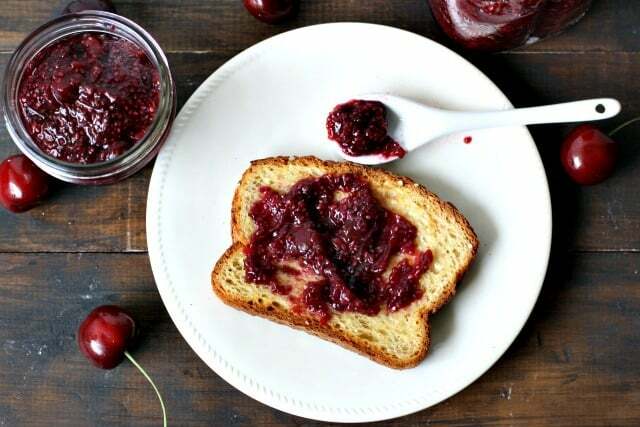 This cherry chia jam is easy to make, and so delicious when spread on toast or muffins! Store chia jam in the refrigerator for up to one week. You can freeze this jam, just place it in freezer bags or freezer containers. 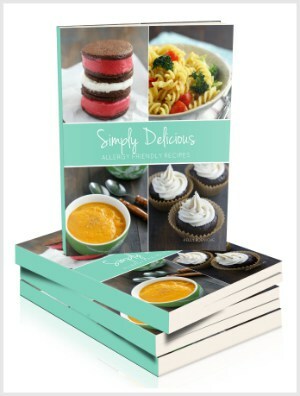 You can freeze it for up to 3 months. You can use any berry you like! If cherries aren't your thing, try blueberries or strawberries. 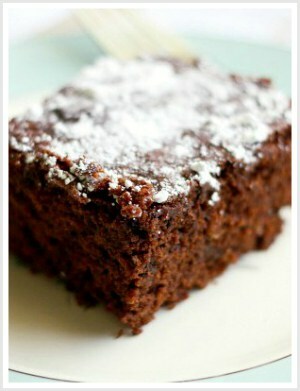 « Gluten Free Chocolate Mug Cake (Vegan, Nut Free).